My fellow writers, why are so many of you wasting your time with CreateSpace.com and similar services? For ever writer that makes tons of cash from their self-published book there are hundreds of writers who barely sell more than two or three copies of their book. Now seriously, are you just seeking the sale of two or three copies of your book? One writer told me at my last seminar that she saw data that the average CreateSpace writer can expect to sell about 4 copies or less than $100 after their book release. Amazon likes to litter the internet with all kinds of "success stories" about the relatively few writers who sell big time on CreateSpace when those writers are an overwhelming minority of writers. Furthermore, writers will brag about their sales. But the ones who sell less than four copies you won't hear too much from because that's not really something to brag online. CreateSpace fails most writers because it's a self-serve mechanism which lacks not only quality control but also marketing support. Gifted writers who have both strong technical and graphic design skills along with other skills that make up the book production process will do well, if they also have lots of marketing savvy. But, for the rest of us writers out there who don't have the immediate skill sets in these areas, you can expect to fall far short of your ambitions. 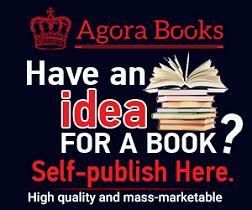 Services like Agora Publishing have been around longer than Create Space, and provide the kind of hands-on support to writers which are simply not available on Create Space.